Software solutions from ScriptLogic Corporation are used every day on Windows servers and desktops around the world. With more than 20,000 customers using ScriptLogic solutions to manage approximately 5.1 million desktops and 122,000 servers, ScriptLogic benefits any size network in any industry. ScriptLogic customers, including 71% of the Fortune 500, experience immediate productivity boosts in their IT departments while reducing costs. ScriptLogic’s customer base includes small businesses, healthcare organizations, government agencies, educational institutions and proactive resellers and integrators. A recognized leader by industry experts, ScriptLogic Corporation has won 13 awards in the past 12 months. Among these are inclusion on the Inc. 500 list of America’s fastest growing private companies for the third consecutive year, Deloitte’s Technology Fast 500 ranking (ScriptLogic was the highest ranking company in the South East United States), the 2006 Best Low-Cost Desktop Management Suite according to the editors at Network Computing, as well as six 2006 Readers’ Choice Awards from the readers of Windows IT Pro (Best Change and Configuration Management, Best Compliance Reporting Solution, Best OS Migration Tool, Best Registry Management Tool, Best Remote Management Tool, and Best Scripting Editor). The strategic value of ScriptLogic’s award-winning applications is becoming increasingly evident as the Windows enterprise environment continues to grow deeper and more integrated. With increasingly complex distributed computing, today's systems administrators are faced with ever-increasing challenges. ScriptLogic is committed to providing administrators even greater and more flexible control over complex networks. According to Jason Judge, ScriptLogic CEO, “the future will yield even greater advancements. Our goal is to continue to offer best-of-breed software solutions that extend ScriptLogic's functionality into a robust, interactive solution set. ScriptLogic has very aggressive plans for acquiring and/or developing additional software solutions that fit into this long term strategy." Save TIME and MONEY by compressing SQL backups with LiteSpeed! As a user of products that require an SQL database, you are all too familiar with the need to be able to backup and restore your SQL databases, for both business continuity and compliance reasons. You also realize the time and effort that exercise can also take, and the resource drain it can place on your IT staff. Help is now here! Introducing LiteSpeed for SQL Server from ScriptLogic. 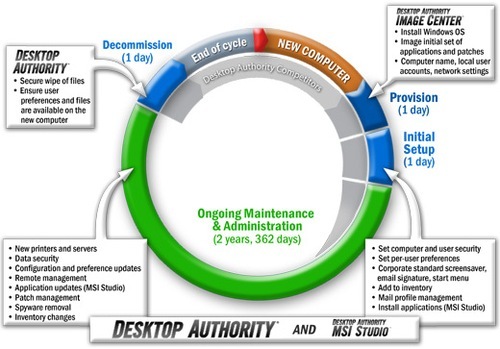 provide complete control over the backup and recovery process.